WALNUT CREEK, Calif. (KGO) -- It looks like Warriors star Stephen Curry celebrated his second NBA championship win with a new tattoo, and he wasn't the only one! 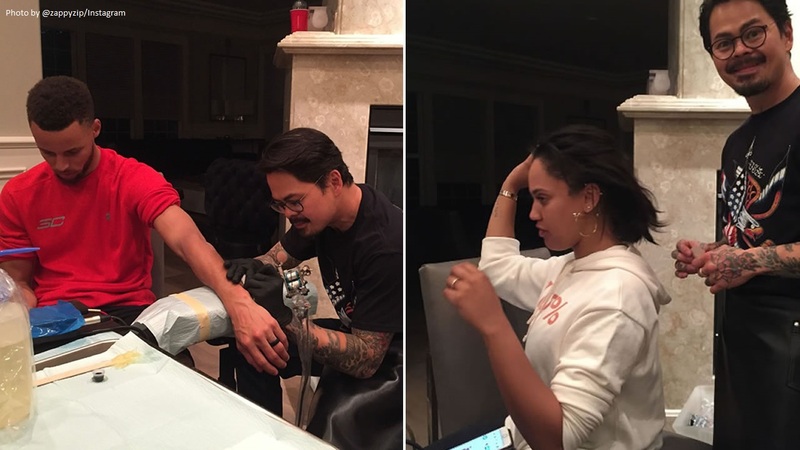 Curry invited Zebra tattoo artist Nino Lapid to his home, where he, his brother Seth, father Dell and wife Ayesha all got inked. Curry reportedly got Hebrew letters tattooed on his forearm, as did Seth. Lapid says Dell got the word "Boyanek" on his forearm. Ayesha's tattoo hasn't been unveiled, but it appears that she was lifting up her hair for Lapid to tattoo the back of her neck. Click here for full coverage of the 2017 Warriors Victory Parade and Rally.